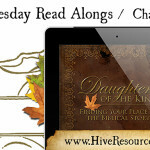 Welcome to the Read Along for Daughters of the King: Finding Your Place in the Biblical Story! Today we’re covering Chapter 9. Still need to buy your book? Grab it on Amazon or Paypal. The power of Christ’s resurrection is the power of transformation. 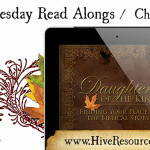 As a Daughter of the King, you are transformed from a traitorous servant of the throne to an heir of the Most High King (1 Pet. 2:9). Through and along with Christ, you and I become heirs of God’s kingdom and are promised to receive a blessed inheritance (Rom. 8:14-17; Eph. 3:6, Heb. 9:16-17). What do we stand to inherit? Eternal life (Matt. 5:5, 19:29; Mark 10:29-30; Titus 3:4-7) and the kingdom itself (Matt. 25:34; James 2:5; 1 Cor. 6:9-10; 15:50). The idea of inheritance is especially moving for women, because in the Ancient Near East the lines of inheritance fell to the eldest son. For the Israelites, inheritances kept divisions of land in their family; it was one way they held onto the promises of God. But being a Daughter of the King speaks not only to what we’ll gain in the end and where we’ll sit, but it also speaks to the loving way God views each of his daughters. Far from being a contractual relationship, Ephesians 1 tells us that God considers each of us his inheritance as well. 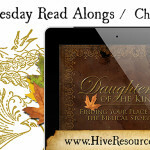 Consider the value you possess as God’s daughter to be considered God’s very own inheritance. This idea of God’s people being his inheritance didn’t start in the New Testament. Paul is speaking out of a knowledge steeped in Old Testament theology. In Genesis, God’s people are known as the sons of God. Moses also sets up a case for God being faithful to his promises to preserve his people, so that they can be God’s inheritance (Deut. 32:9). 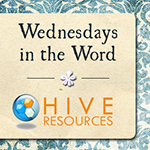 In Exodus, God saves his people out of slavery for one purpose: to be his inheritance (Ex. 19). Land. But we cannot inherit what we are promised (eternal life) unless God inherits us first. And it does nothing for God’s glory to inherit a broken canvas that was once lovely but is now torn by sin. 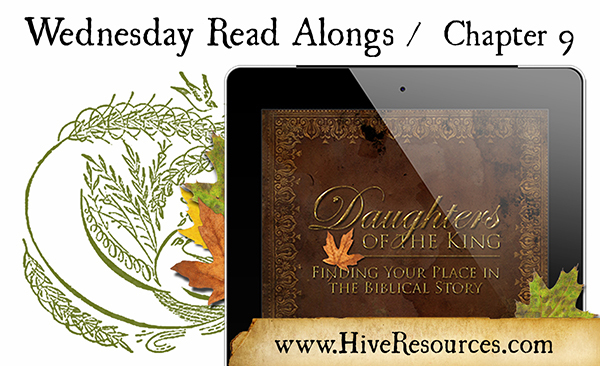 The biblical story is indeed a love story; the story of how the King loved his daughters so much that he restored us to the glory in which we once stood so that we could be an inheritance worthy of the Most High King. Did you know God stands to ‘inherit’ you as his most treasured possession? How does this truth speak to your heart about your identity, personal worth, or mission in life? Share your thoughts in the comments! [i] Peter O’Brien, The Letter to the Ephesians: The Pillar New Testament Commentary (Leicester: Apollos, 1999), 135. I am so thankful that I am His. Me too, Lyli! Thank you for stopping by and linking up!